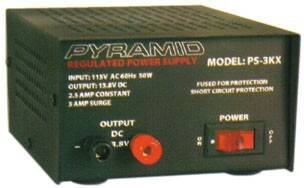 Pyramid Brand 12 Volt Power Supply. 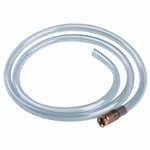 Solid State, Electronically Regulated, Overload Short Circuit and Thermal Protection, Screw Terminal Connectors. 115 V AC input, 13.8V DC Output, 2.5 Amps Constant. Powers Cell Phones, radios etc. 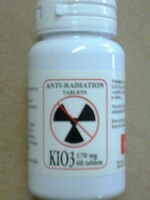 Perfect for home, shop and hobbyist.